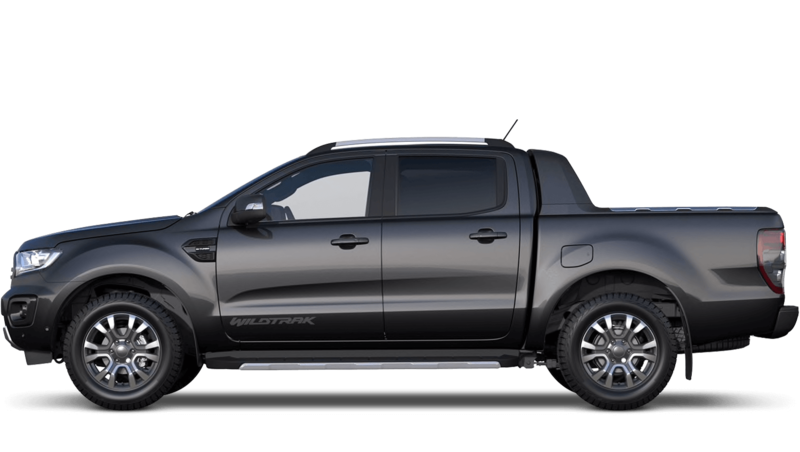 Designed to handle even the roughest of work environments, the new Ford Ranger is a genuinely rugged vehicle. Featuring a highly practical design, the Ranger’s bold front end, sleek lines and spacious cargo bed make for an impressive vehicle. Underneath the bonnet lies a powerful engine that offers an excellent fuel economy, keeping your running costs down. 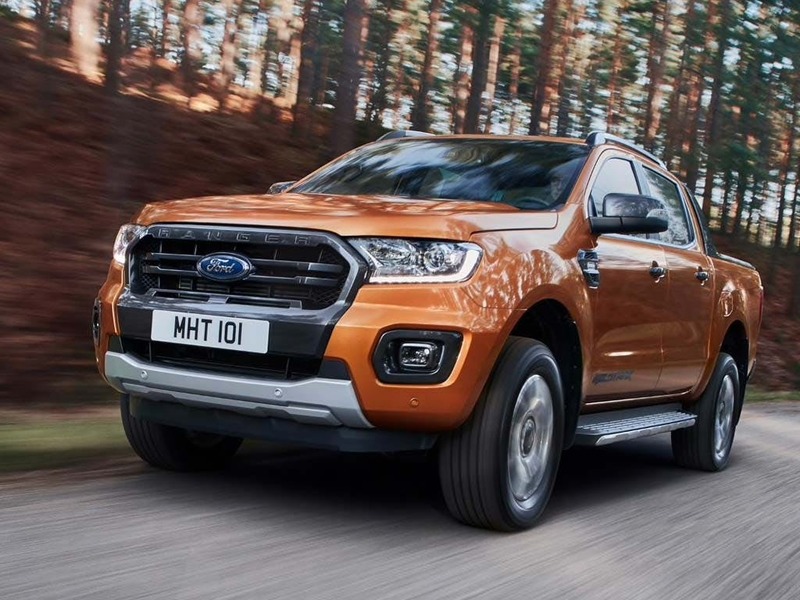 Visit your local Think Ford Transit Centre to test drive the new Ford Ranger. 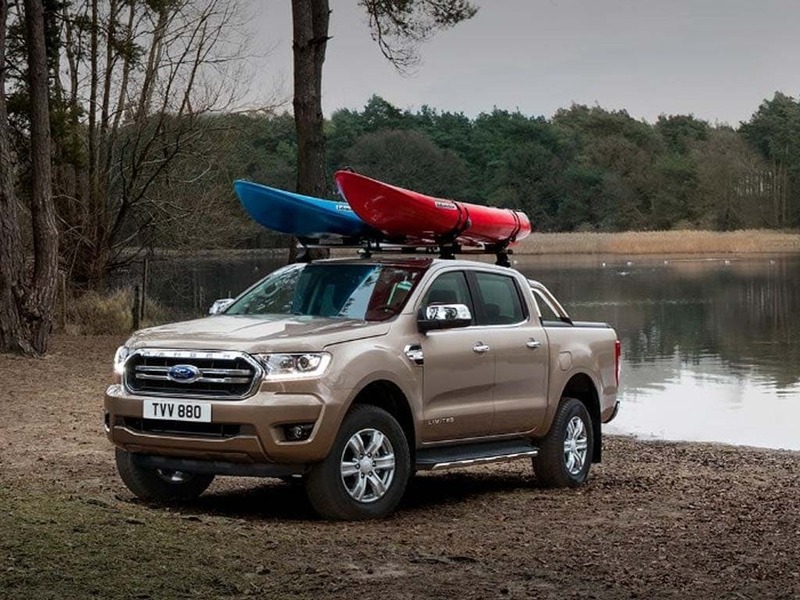 Discover all the latest Ford Ranger offers currently available. 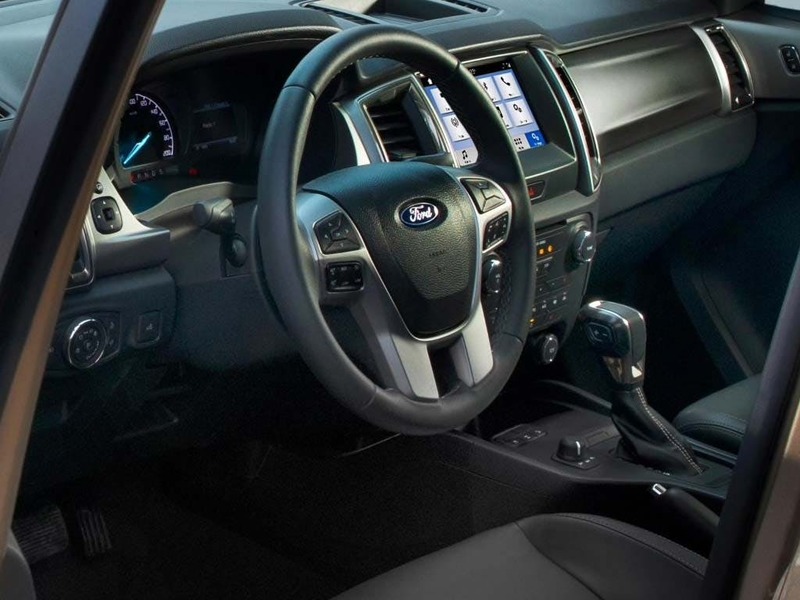 Every detail matters, view the Ford Ranger technical specification. Download the latest Ranger brochure. The Ranger’s smart designed means that it can handle anything that you throw at it. With a volume of 1.8 cubic metres, it’s cargo space has an astounding capacity of over 1,300kg. From work equipment to motorbikes, you’ll be able to transport whatever you need. DIN-compliant tie-downs ensures that your cargo is easily secured. Able to handle up to 4,000 newtons of lashing force, you can rest assured that your load is going nowhere, even on rough, off-road tracks. 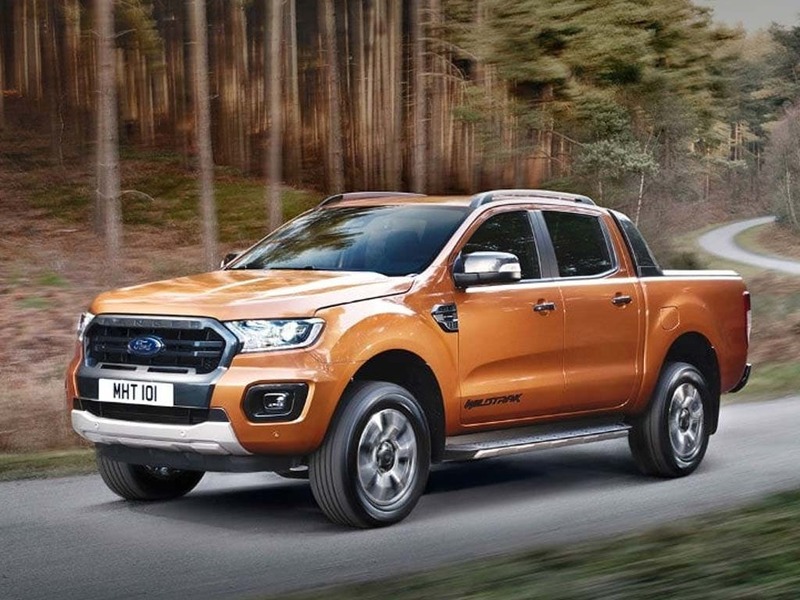 You can rest assured knowing that you are safe on the roads thanks to a whole host of safety systems onboard the Ford Ranger. Adaptive Cruise Control takes the stress out of motorway driving and maintains a set speed. When you catch up to a car, the brakes are automatically applied, and once the road is clear, the Ranger will get you back up to your pre-set speed. Offering both alerts and assistance, the Lane-Keeping System makes your steering wheel vibrate as you approach lane markings. The Lane-Keeping Aid then kicks in to apply steering torque to guide you back into your lane. 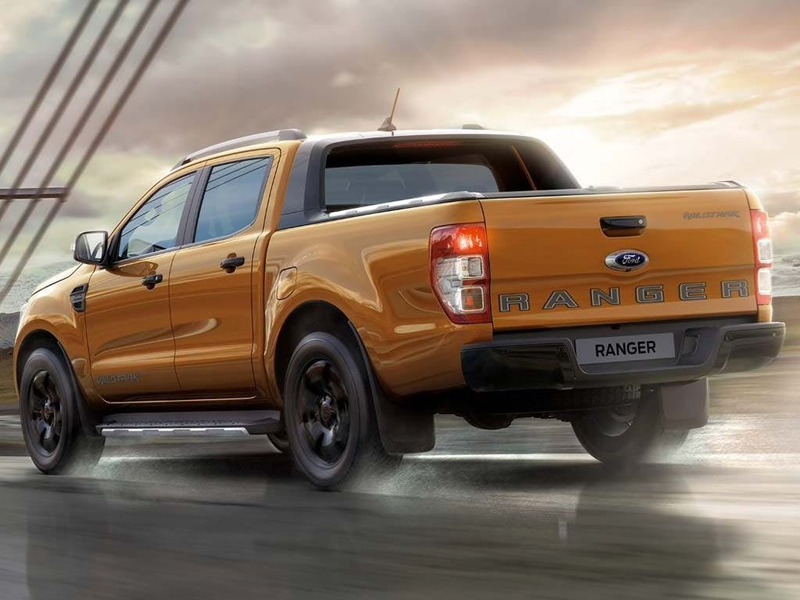 Be it work or off-roading, the Ford Ranger is capable of breaking boundaries and taking you to new limits. Featuring a powerful Duratorq TDCi engine with an output of 120PS and 330NM of torque, you can go off-road with ease. Alternatively, if you’re looking for something that packs more bite, the 5-cylinder 3.2 diesel engine offers 200PS and astounding pulling power. Enjoy a combined fuel efficiency of 43.5mpg, which lowers running costs substantially compared to other four-wheel drive vans. You can work in even the most remote of locations thanks to the four-wheel drive and Electronic Stability Control system. 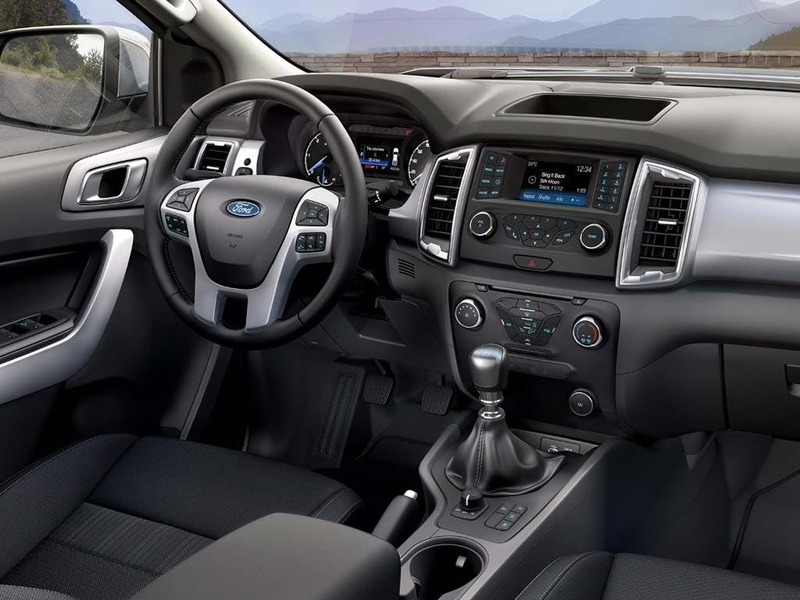 Advanced technology fills the interior of the Ford Ranger, providing you with everything you could need to help make your journey more intuitive. The instrument clusters are replaced with Dual TFT displays, digitising the important dials. Listen to your favourite songs or radio stations with the DAB radio and CD player. 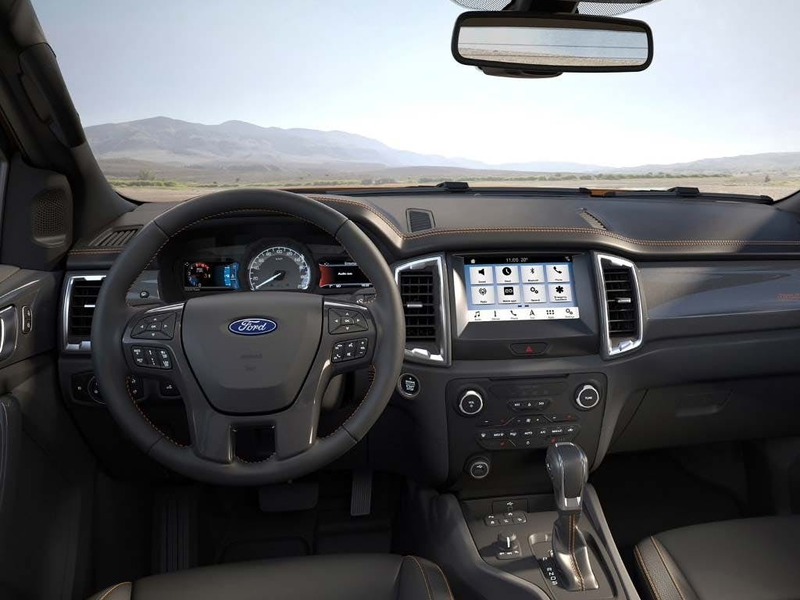 Pair your smart device with the state-of-the-art infotainment system using the USB connection or Bluetooth connection and stream music, get directions and take calls in the go. Voice control allows you to control your phone, satnav and climate control so you can keep your eyes on the road. 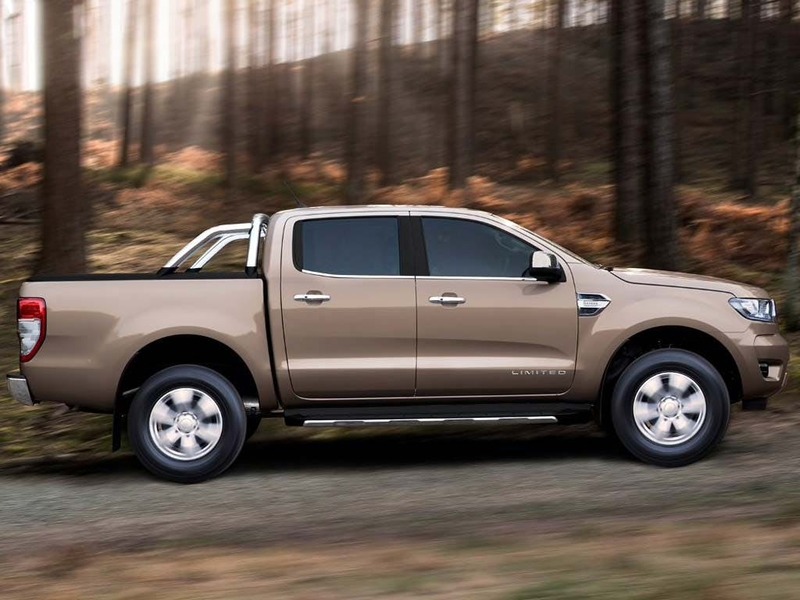 of Think Ford customers that bought an Ford Ranger would recommend to their friends and family. I would recommend Think Ford Newbury to friends and family because a very accommodating service. Sales manager was very helpful and efficient, no stress . I'd definitely recommend Think Ford Newbury because I spent ages looking for a ford ranger at various dealers with no luck, I went into the think ford Newbury showroom and had a chat with one of the salesman called tim and within a fortnight I drove away in a ranger which fitted the standard to what I was looking for. I'd suggest Think Ford Basingstoke to a friend because they made the whole process very easy and pain free, keeping in touch and updated as things progressed. I'd endorse Think Ford Newbury because the service was very good and went well! I'd recommend Think Ford Reading because Tyler Groves was very helpful and always kept me up to date with vehicles that were available. my situation has changed so will no longer need to buy from you.